How to run Chrome OS from a USB driver or in VirtualBox? Google finally released its brand new open source operating system, Chrome OS. Here we provide a step by step guide to run Chrome OS either from a USB drive or with the Sun VirtualBox, which is a multi platform, free virtualization software. Make your choice to boot Chrome OS and enjoy using this latest browser. 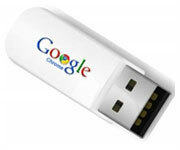 Getting the Chrome OS USB Torrent - Hexxeh's Chromium OS build needs to be downloaded to begin the process and Hexxeh's Website contains the torrent link. Chrome OS USB Installer - Unzip chrome_os_usb.zip by running Win32DiskImager.exe and next choose chrome_os.img file. A warning is displayed which simply means it is looking for a floppy disk. Next select the folder icon, choose chrome_os.img, connect the USB drive with your system and select the drive letter of the USB drive from the device dropdown menu. The disk image will be written on the USB, as soon as the write option is clicked. Booting From the USB - Push the boot menu button and choose USB drive as the machine starts booting the Chrome OS and soon you will have to enter your user name and password at the Chromium OS login screen to access the OS. Download components – The components you need to download are Sun Virtual Box and a Chrome OS image. Install VirtualBox – Double clicking the downloaded setup file will start the setup process. Decompress the image file – Unzip the BZip2-compressed format image file which has been installed, by using 7-Zip or any such file extractor. Setup your Chrome OS machine in VirtualBox – Start Virtual Box and add a new virtual machine by clicking New. Here you need to select the name for your machine and next choose Linux as the OS and Ubuntu as the version. 1024 MB should be set as the memory size. Choose Select to use an existing hard disk. Clicking the folder icon on the right will open the Virtual Media Manager. The downloaded uncompressed Chrome OS image file can be selected by clicking Add. Select it and your Chrome OS virtual machine will be successfully set up. Clicking Start would enable the OS to run and the login screen should appear a few seconds later. To test run the Chrome OS on your machine, go ahead and download it and don't forget to enjoy your brand new OS. Thanks for investing your time. This will surely add to my knowledge. In fact, one can find a variety of kinds of brands coming with charming timepieces. Among all of them, I have a bias on Hublot watches which are crafted from blushed steel and gold products. I think Chrome OS is really good . However, developers need to do more so that the user can accept this operating system .